Young people use public spaces just as much as anyone else, if not more. And yet, too often young people, or young adults between the ages of 12 to 25, are not included in the process of Placemaking and end up "loitering" in other spaces. Some communities frown upon loitering, which can create a negative image for young people and just contributes to the stigma surrounding them, especially those who are at risk. By being actively engaged in youth-friendly spaces, young people can feel like they have investment in their community and they can develop a strong sense of ownership in these places. Parks and public spaces are often built with small children and adults in mind, with an emphasis on playgrounds for the children and benches for the adults watching them. Alternatively, some public spaces are simply devoid of activity or amenities – conducive to picnicking or maybe playing ball, but offering little else for young people. With nothing to do after school, they hang out at train stations, shopping centers, and local parks. Young people are also great entrepreneurs and can be extremely resourceful. Not to mention they are our towns’ future community builders, business owners, public servants, and families. As community leaders we must engage the whole community, and by engaging young people we send the message that they are a part of our community too. Working with young people creates stewardship, ownership, respect and a great sense of pride in our communities. Involvement of young people in your community could really influence future town planners and community leaders. The following are just a few of the successful examples from around the world where young people were involved in Placemaking. Fremantle Esplanade Youth Plaza is an internationally awarded and world-renowned skate venue in the heart of Western Australia’s most iconic tourist spot, Fremantle. It has become a hub for young people, especially young skaters. Young people often bring their own music for late night skating adding their own vibe to the space. The lighting turns off late at night, encouraging younger ones to return home. The City of Fremantle conducted the usual council meetings but also sought input from local young skaters. They hosted skate workshops and interviewed the participants. Community consultation groups then included the young people in the planning and design consultation process. This allowed the local council workers to build a rapport with the young people whilst giving them a clear understanding of what the project was about. Results came from 74 interviews, 214 completed online surveys, 72 participants at two pre-design workshops, 96 participants who provided feedback on the two concept designs by attending one of two workshops, and comments online or at the Customer Service Centre display. Young people stated that they wanted sufficient lighting in the plaza, and supported the length in the design of the skate park, the open space, and the location and the parkour facilities. For further development the following suggestions have been considered: a public BBQ, Wi-Fi facilities, more wooden seating, picnic tables, more shelter from the weather, and urban art exhibition space. 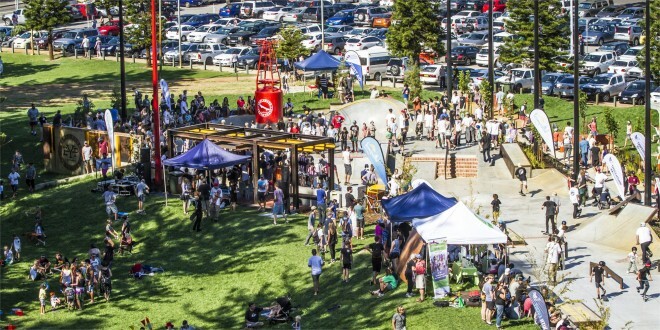 The City of Fremantle also has a Facebook page that promotes the space and its events, and during every school holiday there are competitions and workshops for parkour, boys and girls skate, roller derby and bmx, as well as concerts and other activities. 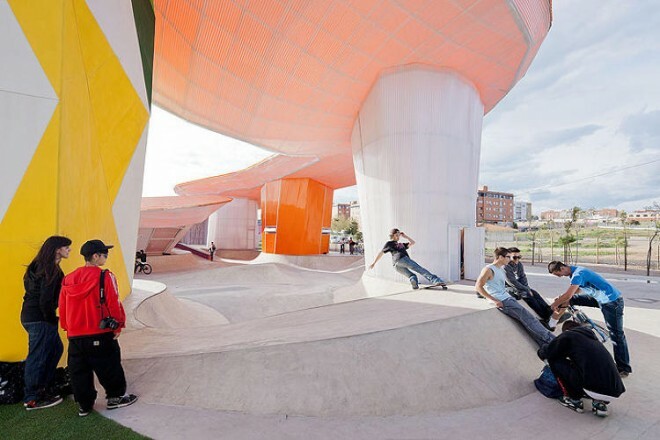 This is a unique facility as the outdoor public space draws young people in for informal activities but creates opportunities to take risks in constructive ways. The outdoor activities can be risky but for young people asking for help can also be a huge risk. Having the indoor facilities provides an easily accessible point of contact for community workers to reach out and support young people as well as engage them in the physical activities. In addition to design projects, there are various ways in which Placemakers are engaging young people. Moving away from traditional community consultation methods, organizations are looking at tools that young people already use and have access to. Block by Block is a program through Un-Habitat, the United Nations Human Settlement Program, and Mojang, the creators of Minecraft, aimed towards engaging young people to use Minecraft for redeveloping spaces in urban areas. Minecraft is a video game in which the user mines minerals and builds whatever they wish; in this case young people are rebuilding their local parks virtually at first, which then becomes reality. This is an excellent platform because Minecraft is an easy to use tool that allows young people to have fun and to actually visualize the space they’ll be using. Young people imagine what they want the space to look like and plans are sent to architects for the formal design process. Un-Habitat and Mojang have a four year partnership to redevelop 300 spaces by 2016. With a focus on “re-imagining education”, Public Workshop encourages young people to engage with their communities through designing for various public spaces. With projects in schools, universities, and public parks, the program has engaged hundreds of young people, families, and children in the various projects creating a meaningful attachment to these places. Ten young people aged 16 to 25 are working on ‘Build your own adventure playground’ in Philadelphia. These young adults get to plan and design parts of the playground for children and are learning about architecture and design in the process. This is a great example of civic engagement using an alternative curriculum. This is a much more hands on approach to engaging young people and creates a strong sense of pride and ownership in their local public space. 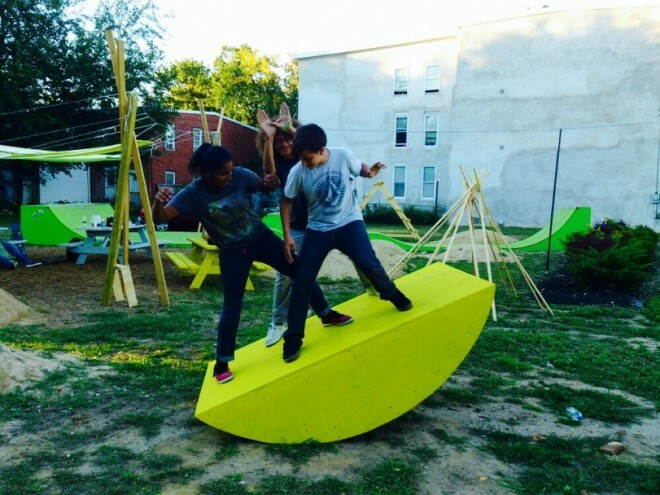 Public Workshop has also created youth specific space in a vacant lot in Philadelphia, including a pop-up skate park and play space involving many local young people who have a great sense of ownership and pride over the space. The Alley Project (TAP) has engaged more than 120 young people in workshops working with local professional artists to produce work for a local garage gallery, an alley gallery, a small studio, and a garden lot. The program has built unexpected relationships with local stakeholders and decreased the levels of vandalism in their community. Graffiti may have a negative reputation but can also be seen as a medium and a tool for communicating with young people. Projects like TAP give young people the legal license to creatively express themselves whilst participating in the community in the public eye, breaking down any negative stereotypes the community may have. It’s important that throughout your facilitation you are patient and let young people step in when they are ready and let everyone speak in their own manner. Here are some great tips on how not to be ‘tokenistic’ when working with young people. Working with young people does not come without its challenges. Getting young people to turn up can be one of them. We most likely won’t find young people turning up to council meetings or public forums. Engaging young people requires thinking outside the box and using creative alternative and innovative ideas for community consultation. Identifying the interests of local young people, or issues in the community around young people is a key part of building a relationship with them. Placemakers may find themselves building community networks with local sporting businesses, skateboard and BMX stores, and other areas of interest that young people may be attracted to. Local youth organizations are always looking to get their young people involved in the wider community so creating a connection is a great place to start. They will have access to young people and experience in facilitating groups. These can be local employers, schools, alternative colleges, sporting clubs, drama clubs, music hubs, youth centers, recreational centers, youth organizations, and other hobby centers. Accurate representation from all groups is crucial to getting a meaningful response, and to do so you may need to use a variety of means; young people may want to participate using different mediums, so you may have one group who will do on online survey and another group who are willing to attend a workshop. It’s imperative that you are flexible about this and cater to all groups of young people. Marketing is (believe it or not) quite crucial to creating a great space. You will notice that on the Fremantle Youth Esplanade Plaza that they have a logo - and it really stands out. This logo is also used for social media, Instagram, and Facebook as well as posters used for promoting school holiday activities. The sooner you get your project branded, the quicker people will identify the project with the space. 3. Think "Lighter, Quicker, Cheaper"
Don’t have enough money for a marketing consultant? Contact your local high school/college and host a competition for graphic design students to design your logo for you. Ipads, laptops, and technology vouchers are great prizes. This is also a way to let young people know something is happening and simultaneously involve some young people. A youth space where a young person designed the logo? Awesome! Asking local businesses for in kind support in exchange for free advertising in your space is also a great way to get community on board and supportive of community projects. ...and throw a party for your space! Get on social media! Create a page for your project on Instagram, Twitter, Facebook, Tumblr and whatever social media is popular in your area. Using the same logo for all social media is also a way to familiarize your audience with your project. Set up a survey online and link in to all your social media sites. Make an event to get the ball rolling like a movie and pizza night in the public space you want to improve. Events are a great way to start - you can have competitions for whatever sport is popular in your area, for instance. Handing out free things is a great way to get dialogue happening. Ask young people where they hang out, why and what they want to see happen in their communities. It would be wise not to get them to fill out a paper survey but to ask them to participate in something more interactive like drawing what they would like to see on an enlarged image of the space. Also put posters up and around local schools, fast food restaurants, and areas where young people hang out outside of the public space. Involving young people in the Placemaking process is good for the stakeholders, community organizations, the young people themselves – not to mention the wider community in general. Young people have opportunities to learn communication skills, decision making, and develop positive relationships with community ‘adults’. Young people who are engaged with community projects are more likely to finish school and less likely to engage in risky behavior. Young people who engage in community projects also develop a strong sense of pride and ownership of their local public spaces and communities in general. Organizations are able to make better informed decisions about youth projects, social issues, and community concerns with actual youth involvement. 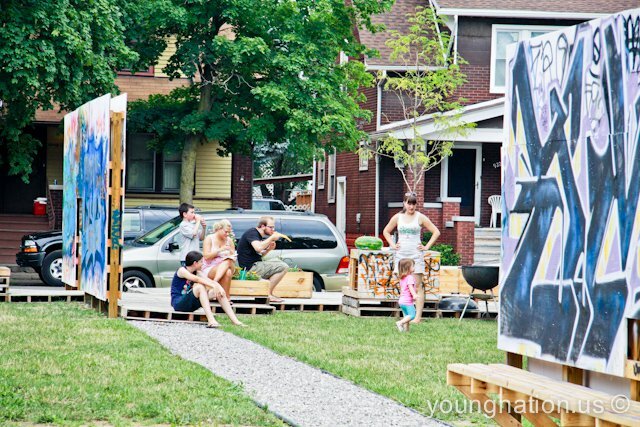 We grow strong young entrepreneurs when engaging young people in Placemaking. Cheryl Milard who is a residential support worker in a youth housing service in Perth, Western Australia, and is currently studying Community Development at Murdoch University. During the spring of 2015 she interned at PPS and joined us at our training courses to learn more about Placemaking and how it relates to young people-oriented design.